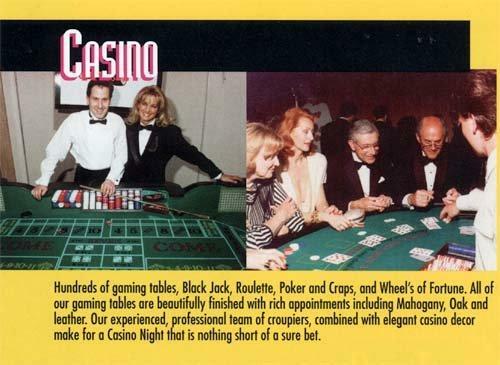 Hundreds of gaming tables, Black Jack, Roulette, Poker and Craps, and Wheel's of Fortune. All of our gaming tables are beautifully finished with rich appointments including Mahogany, Oak and leather. Our experienced, professional team of croupiers, combined with elegant casino decor make for a Casino Night that is nothing short of a sure bet.